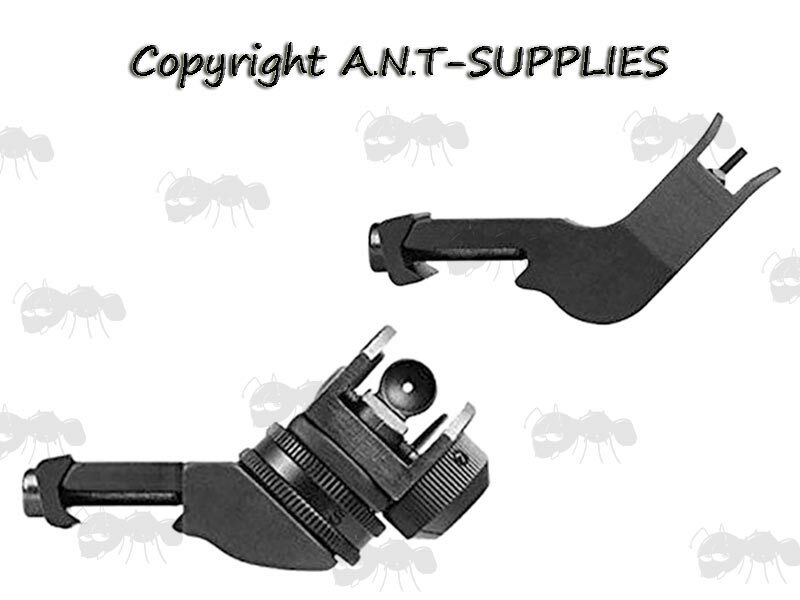 To assist in the aiming of crossbows, airsoft AEGs etc. They fit the majority of weaver / picatinny sight rails. 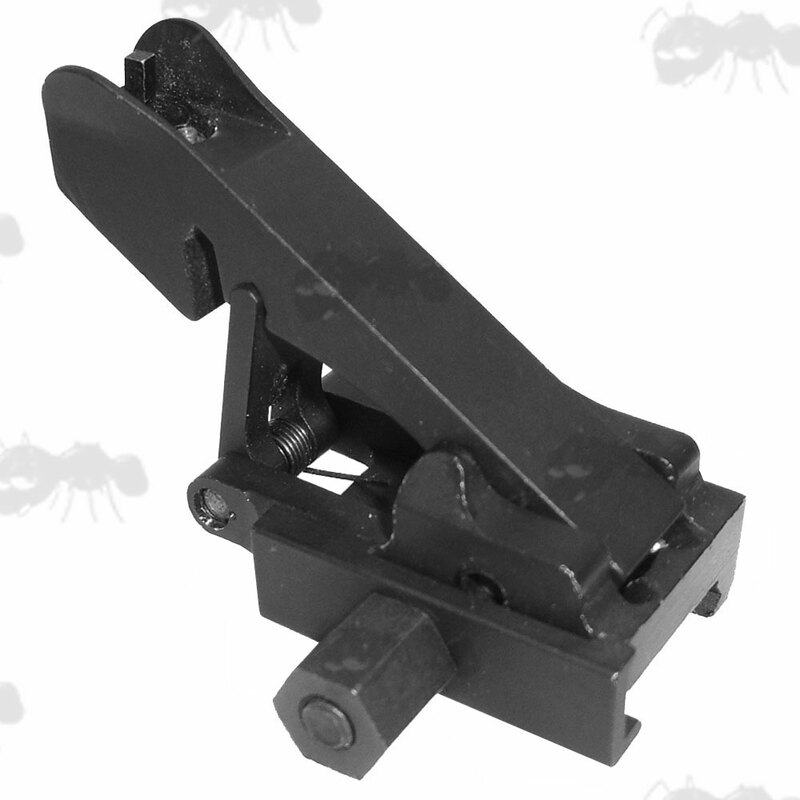 Also available ~ Front sight adjuster tool. Next > Long Folding Front & Rear Ironsights. The sights are spring-loaded and flip up when the side button is pressed in. This then locks them in place until held in to lower them flat again when desired. 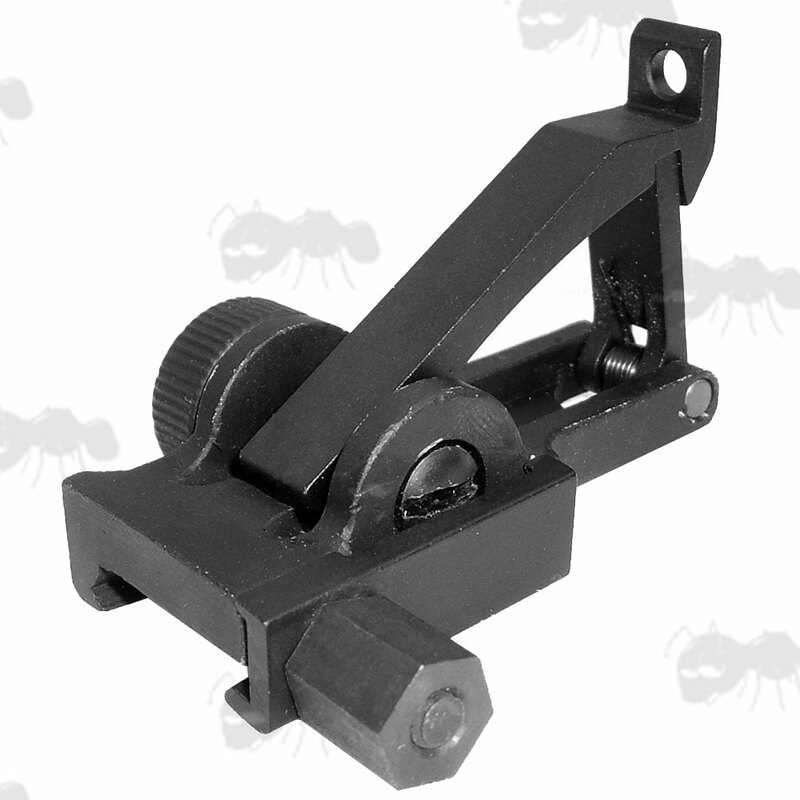 High quality all metal construction with a matte black anodised finish. 16mm high when folded down. Front Height ~ 45mm, weighs ~ 42 grams. Rear height ~ 46mm, weighs ~ 47 grams. 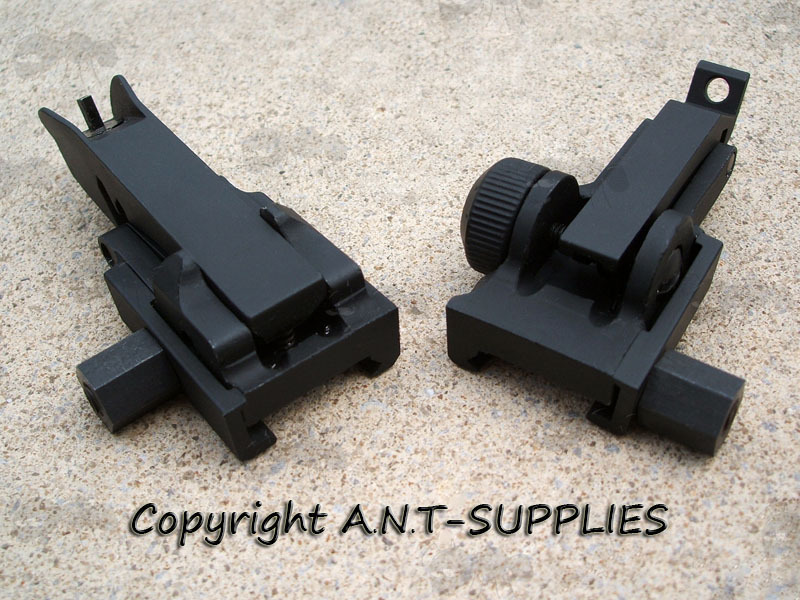 Fits 20mm wide weaver/picatinny rails. Click adjustment windage dial on rear sight. Elevation adjustment of front sight. 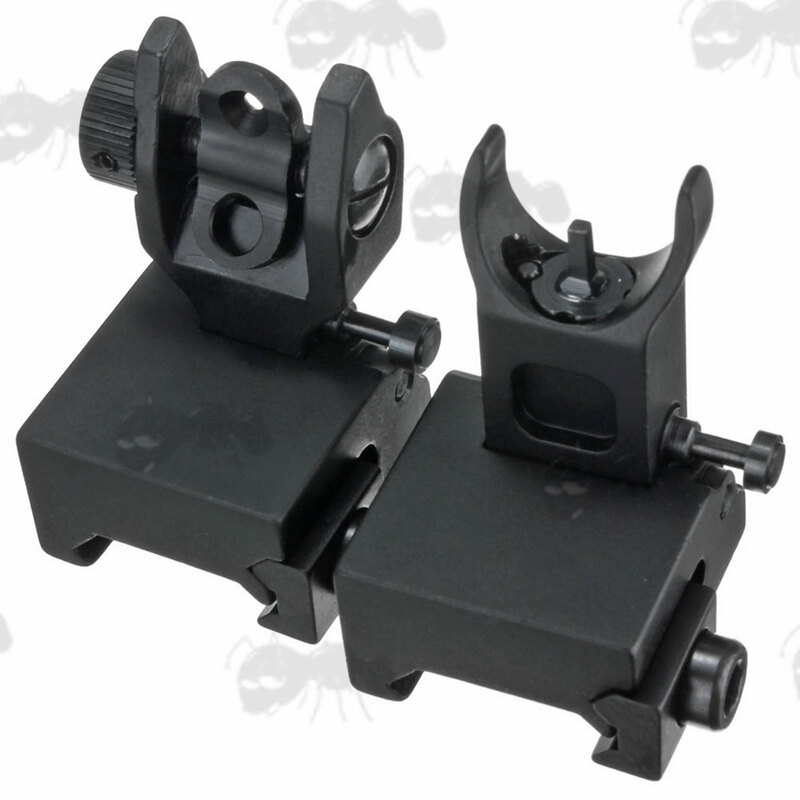 Next > Pair of Offset Front & Rear Ironsights. 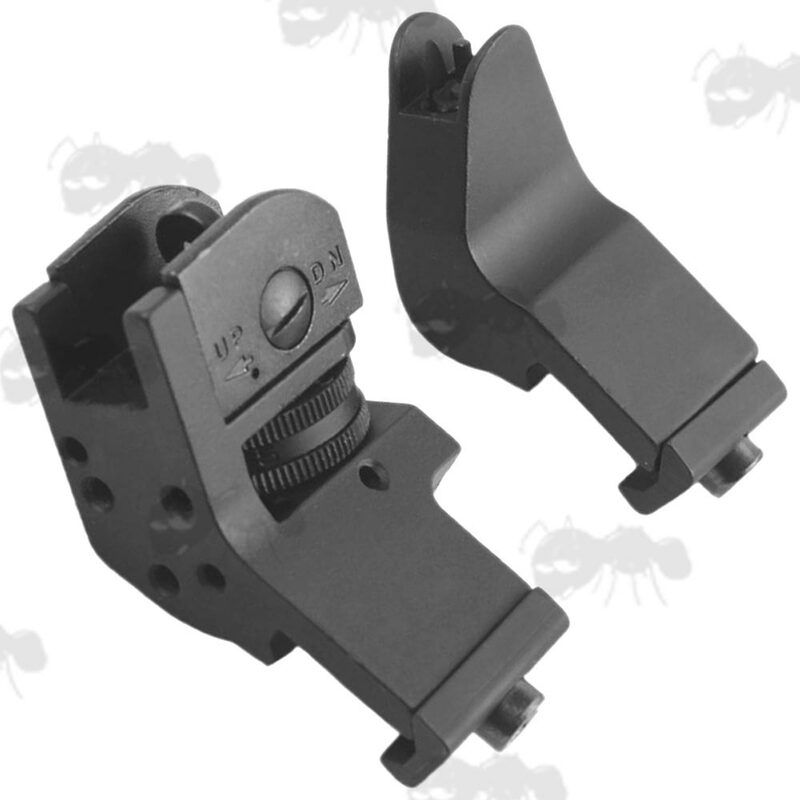 The front sight has three position settings depending on were it is to be installed. Each is approx 70mm long when folded down. The pair weighs ~ 158 grams.